Some of you may not have heard of Paul Wakefield - he isn’t famous for leading workshops, he doesn’t write for popular photographic magazines and his last published book was in the 1980s. This lack of notoriety isn’t a symptom of a second rank photographer though - in many ways Paul has concentrated on his time on his professional and personal work and has built a career working specialising in naturally lit landscape photography commissions working for many international blue chip clients. His landscape photography came first though and he continues to spend time returning to locations visited on commissions to add to his portfolio. If you’ve got a few of Paul Wakefield’s early books you’ll agree that although the photography is superb and the writing inspirational the reproduction hasn’t been that great. This couldn’t be further from the truth for his new book and we visited his South London home to for an extensive discussion about where he started in photography, how he produced the work he has and finished talking about the new book simply titled The Landscape that I had a chance for a first preview of when Paul produced a set of unbound folios hot from the printing press in Italy the week before. Paul has rarely had interviews and we’ve taken the opportunity to reproduce our conversation virtually unabridged - we hope you enjoy reading as much as I did chatting with Paul. Could you give us some background on how you originally got into photography? The first photographs that I ever took were probably when I was about 10 or 12 in Hong Kong with my father’s Zeiss Contaflex. 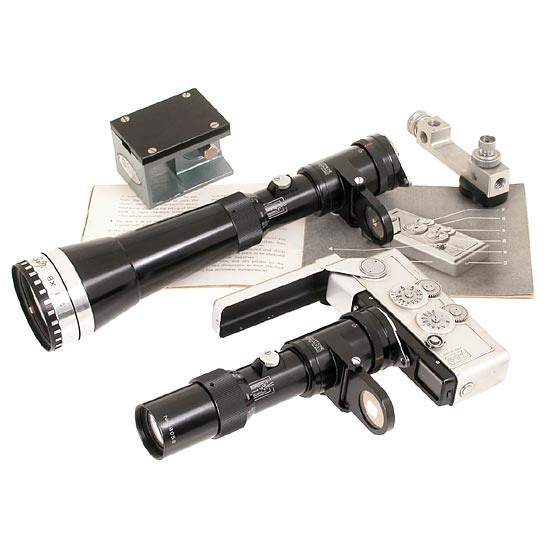 He was quite a keen snapper and quite a keen gadget freak so he had lots of very unusual cameras like Gami’s, almost a miniature spy camera, and things like that. I was also very interested in wildlife and we had a troupe of monkeys down the road that we went to photograph because I used to watch them with a pair of binoculars, so I thought I can just take a photograph of them. But when I got the kodachrome slides back in the post, as they were back then, there was nothing on them at all because of course I didn’t know how to operate a camera - I just thought you looked at it and pressed the button and my dad gave me a quick lesson. Yes, there were trees and things in the pictures but it was all a blur and there were no monkeys, so that was kind of intriguing and disappointing at the same time. I thought I’d better find a captive subject and went to the botanical gardens in Hong Kong and photographed the birds in the cages but then I had problems with the cage getting in the way and it’s much darker. So the result of that was equally as bad and so I put it all aside - I wouldn’t say I lost interest exactly because it still really intrigued me why it seemed such a straightforward bit of equipment could be so tricky to use. But then if you’ve got no instruction I suppose any equipment is tricky to use. I used to look at the National Geographic magazine and was very keen on outdoor walking and went to the New Territories with my father regularly. I used to collect butterflies - all of those kind of ‘boy’ things - which I wouldn’t do now and when I went to boarding school in England with my twin brother when I was 14 they had various magazines in the school library but it was “Life” that I was particularly interested in. I used to wait for the next issue to come out and it would all be people like Eugene Smith doing his photo essays on the village doctor for instance, which were absolutely amazing. Really in depth observation of an everyday instance which you wouldn’t have the chance to see because it was a documentary of a job. And that was interesting, the fact that you were seeing something of how other people operated that you wouldn’t normally have the opportunity. The intensity of the images was very, very powerful and the emotion was there; you felt as though you were being involved in a documentary through still images. I used to love those and there was also the Minamata disease series (a photo essay by Eugene Smith on mercury poisoning) that I looked at. I was actually looking at photo essays before I remotely got interested in landscape but I wasn’t actually taking any photographs because I didn’t have a camera. 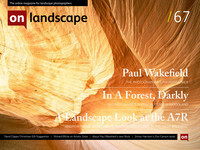 Paul Wakefield's new book "The Landscape" has been produced and published by Eddie Ephraums’ Envisage books publishing consultancy and will be available in February 2014, ISBN 978-0-9564764-9-4. Please visit https://www.paulwakefield.co.uk for more information and to pre-order.